Everyone has their own strong opinions on sandwiches. I firmly believe you shouldn't put butter on anything other than a cucumber sandwich, for instance, and bananas have no place in any sandwich whatsoever. 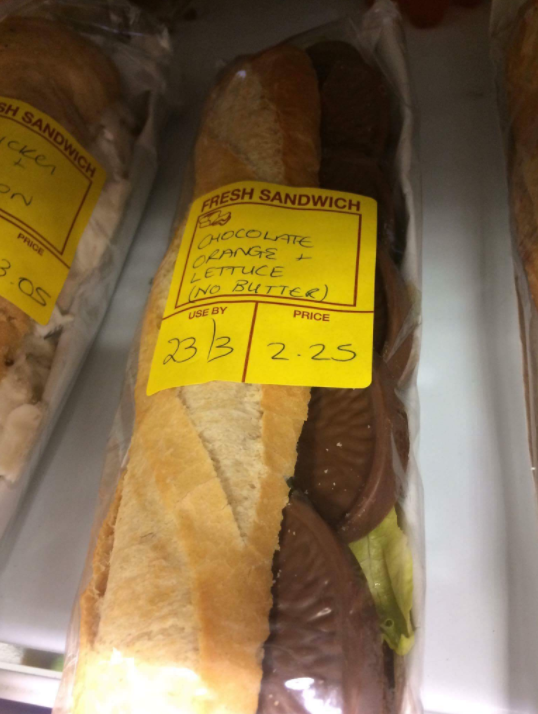 But somebody in Wales has spotted the worst two sandwiches in existence, and has tweeted them as proof that Wales is not yet ready for independence from the rest of the UK. And they are real car-crashes of sandwiches. The first one is terrible. Whilst it obeys the "no butter" rule, it beaks all the others, containing only lettuce and chocolate orange segments. It's on sale for £2.25, which is petty cheap considering how goddamn expensive chocolate orange segments are. We'd advise you buy it, scrape off the lettuce and eat separately. But the next sandwich is intolerable even if you separate out the ingredients. 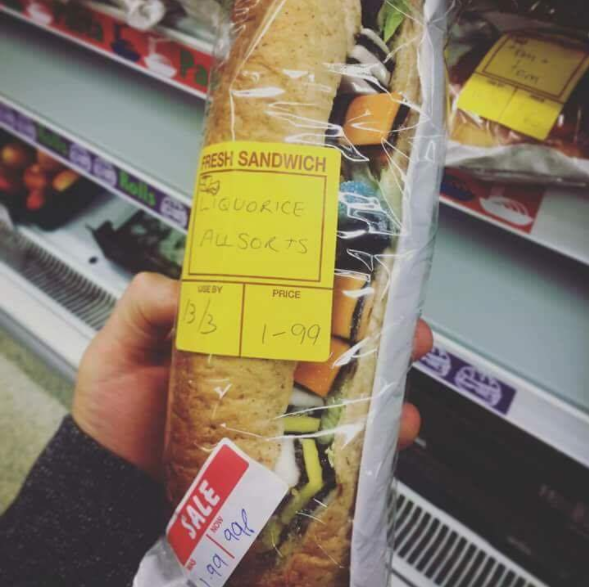 It's priced at less than the other sandwich (at £0.99, reduced from £1.99) but the idea of it is making the whole internet ill. It only has one ingredient. Liquorice Allsorts. The concoction is so disgusting that a lot of people didn't believe a shop could actually be selling it. But they are, and it's now been independently verified by several news outlets. Phil, the owner of the shop, told medium.com that they were serious sandwiches, not a joke, and that they had been sold to customers. People with even more heinous minds than Phil have since come up with worse concoctions that they'd like to see sold in shops. And the sandwich has taken its toll on the person who found them. Their ugly son got neglected all day because he was following the tweet. And the rest of the UK has barfed up their sandwiches.